Thirty years after the Mars exploration mission ‘Hera’, whose crew died in mysterious circumstances, the ensuing political issues that slowed NASA's race to conquer space have finally ended. This time the five members of the new ‘Isis’ mission will not travel the 400 million kilometres for a short visit. This time they are destined to become the first colonisers of the Red Planet. The science fiction series “Red Desert”, set in the near future, includes four books. 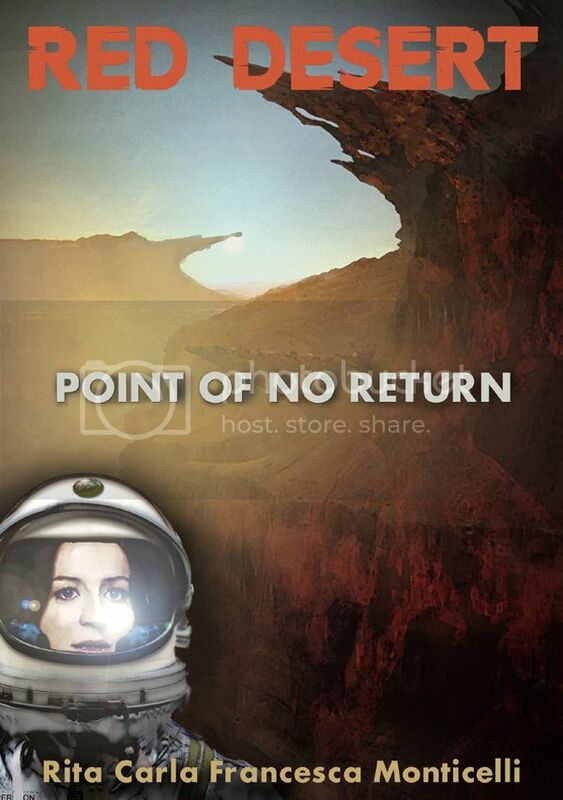 The first one, “Point of No Return”, is a novella. In what looks like a suicide attempt, Swedish exobiologist Anna Persson, crew member of the Isis, secretly leaves Station Alpha at the crack of dawn to travel deep into the Martian desert in a pressurised rover. I was offered a free copy by the author in return for an unbiased review. Earlier in the year I had the chance to read a pre-release version of this novel, a translation from the original in Italian. Now it is available to English speaking audiences, with the sequel, the second of four, coming out shortly. Red desert is a novella told largely in flashbacks about the end of a space mission and how it all began. The woman is seen in "present-day" and in the flashbacks from several years before look from very different lifestyles. Slowly you can see the shy version of her morph into a determined woman, often being hit back by events, and creating a complex life experience for her to pull from. I found this progression realistic and interesting. At times I would have liked a clearer marker for when I was in her timeline however. The story gets going immediately with the protagonist in a airlock, ready to go out onto the surface of Mars. We are given enough information to know how that would work and limitations, but all information about why when or how the character got there are left until later. Let the adventure commence. There were some places, ironically often in the tension based scenes, where the writing felt a bit slack, but I feel this was more to do with the translation than a judgement on the writer's abilities. I would give this a 3.5 but I round it up to a 4 for the sake of ratings sites.